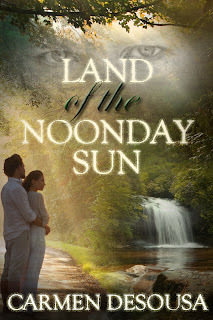 Today I'm visiting with Laurie's Thoughts and Reviews to interview my kayak guide hottie from Land of the Noonday Sun. The reason I decided to visit with one of my favorite characters is because there is a new mystery in Nantahala, NC. Per readers' requests, I'm bringing back a character for a leading role in When Noonday Ends, scheduled to publish this month. So whether you've read Land of the Noonday Sun or not, please stop by and visit for a short interview with one of my favorite male protagonists. No secrets will be given away, just an idea of who my main character is and why readers love him.